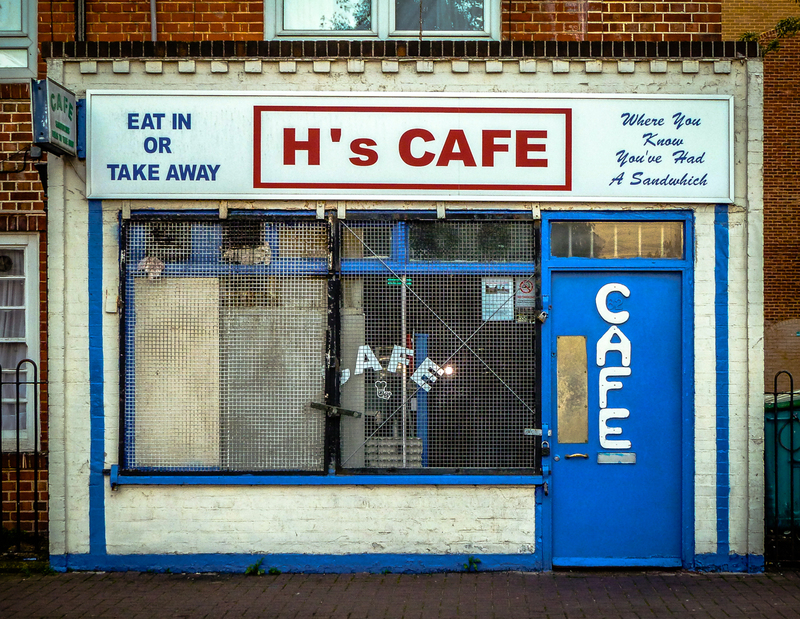 H’s Cafe, 82 Neptune Street, Borough of Southwark, London SE16, 2010 • Well-regarded backstreet greasy spoon with wonky hand made sign. Run by a bloke called H and his two sons, according to a Google review. Despite the area all around gentrifying, it was still open and much the same in 2018 (although it looks like they at some point repainted – better – the side slogans). The internet reckons it’s at no 43 Neptune St, but the door says no 82.